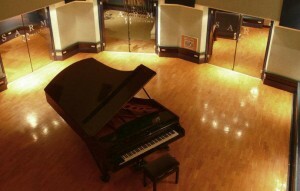 I tuned the Bosendorfer at Sarm Studios for the Band Aid recording (for free of course!). 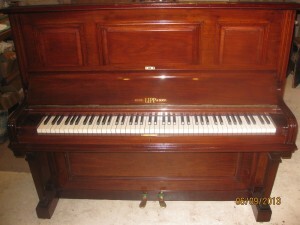 Here is a picture of the piano which we have been tuning weekly since 1976! Barrie M came to see a Wendl & Lung 178 grand on a Tuesday and it was delivered to Scotland on the Friday thanks to the aptly named company Pianospeed! 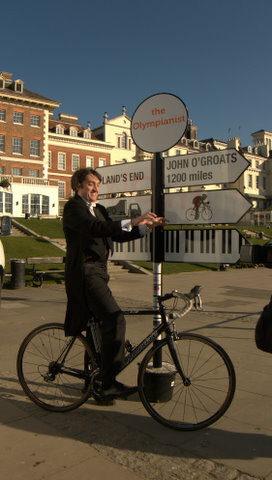 Barrie sent in a few photographs and said he was delighted with the piano. Happy practising Barrie! 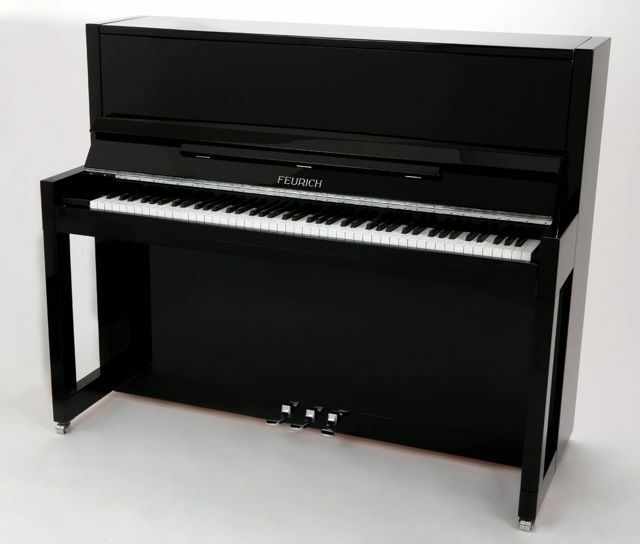 We’ve just received our first Feurich, a compact 118cm upright with a beautiful balanced tone, lovely action and high quality polyester case, all finished in the characteristic yellow felt. After 160 years Feurich are still going strong, producing stunning hand-crafted pianos in Gunzenhausen, Germany. This is the nicest small upright we’ve ever had. 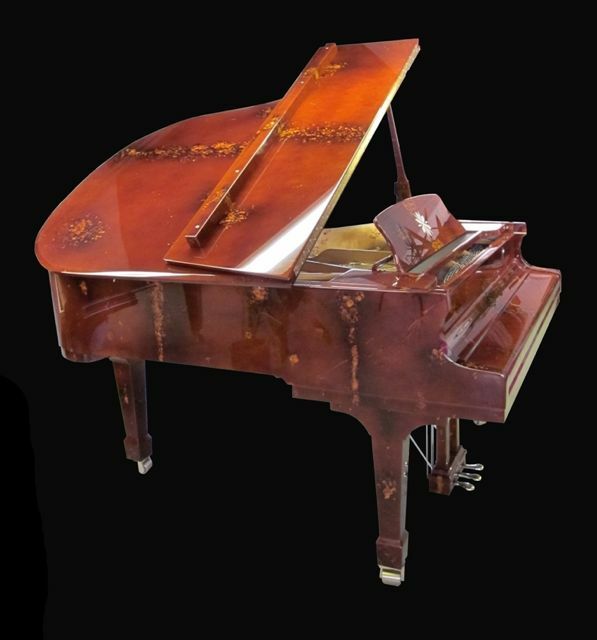 Our friends Gerhard and Kai Deckelmann are producing bespoke cases for Feurich grand pianos. 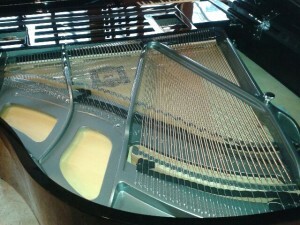 They brought this piano to the 2011 Frankfurt Piano Fair. 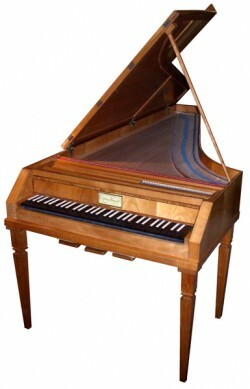 The summer opera season is upon us, which means Thornhill Pianos is busy providing instruments and tunings for Glyndebourne (Donizetti/L’Elisir d’Amore), Garsington (Rossini/Il Turco in Italia) and the ENO (Britten/A Midsummer Night’s Dream)! 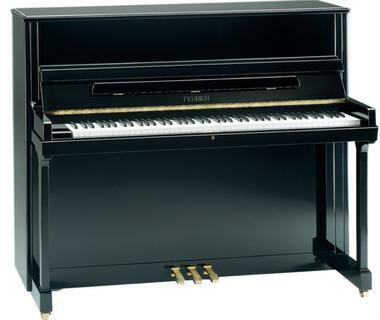 Welcome to the new Thornhill Pianos website. We will be posting news updates here regularly so be sure to check back!